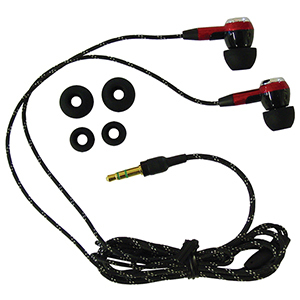 It is a mid-level stereo earpiece that has terrific sound quality. And It comes with 3 sizes of replaceable rubber tips for a more custom fit. The cord is designed to fall down one side of the body depending on the side you are wearing your audio device. It comes with an extension cord for versatility.